NEW!! 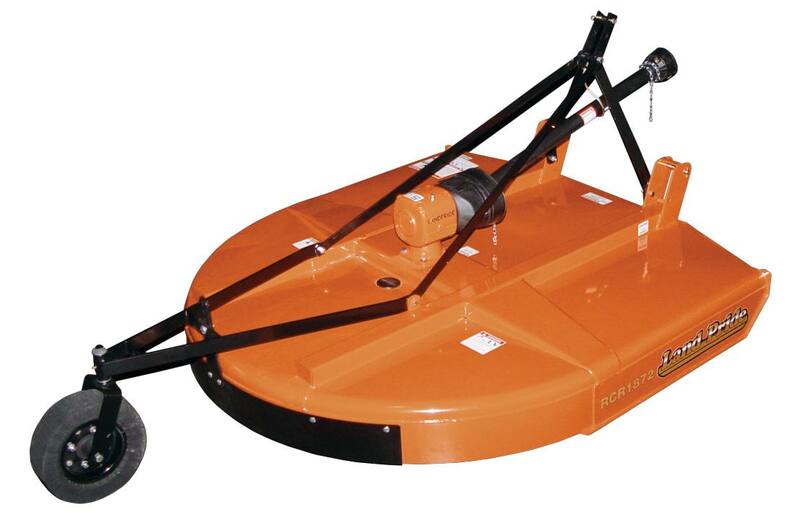 72" Rotary Cutter with slip-clutch driveline. 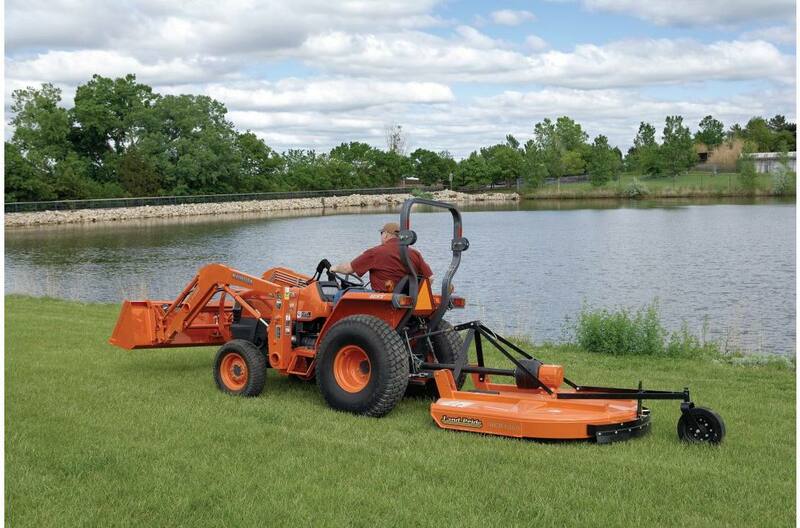 Ideal for cleaning around the farm, the pond, or empty lots in the city. 5 Year gearbox warranty: Shows our confidence in the gearbox integrity. Cat. 3 driveline with shearbolt: Shearbolt offers maximum driveline protection. Dual position clevis type 3-point floating top link: Permits deck to follow the terrain for an even cut. Additional set of holes for tractors with shorter top links. Heavy 10 gauge deck construction: Can withstand more abuse than lighter gauge decks. Box tubing deck supports: Makes for a stronger rigid deck. Fully welded deck: Robotic welded. Adds additional strength. Extended cutter front: For increased material flow and added protection. 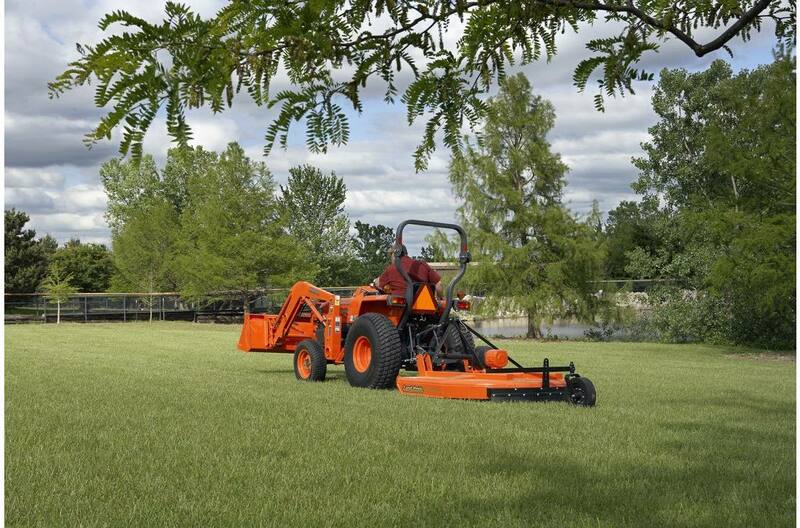 8 7/8" Deck height: Allows cutter to handle heavy cutting conditions. 1 1/2" to 11 1/2" Cutting height: Provides for a wide range of cutting conditions. Full length skid shoes: Provides sidewall reinforcement and full protection to bottom of sidewall. 1/2" x 3" Heat-treated free swinging blades: Free swinging protects from obstructions. Heat-treated offers longer life. 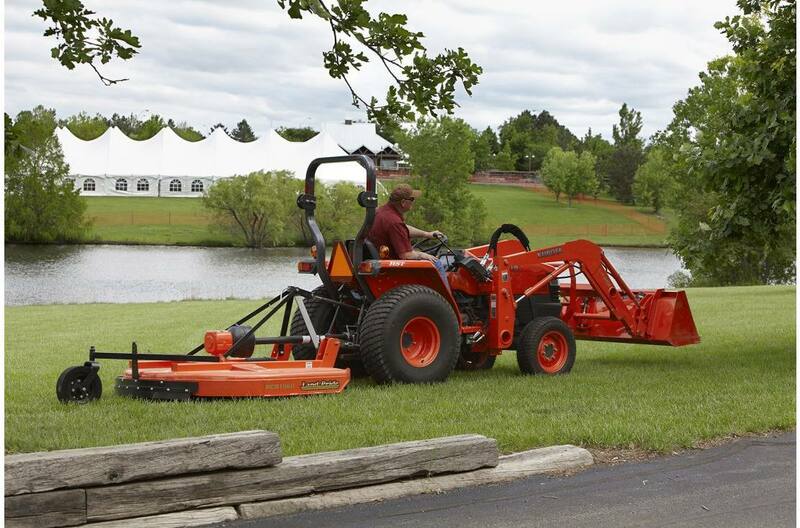 10 Gauge stump jumper: Standard round stump jumper slides over stumps, rocks, and debris. High blade tip speed: 14,853 FPM, Ensures clean cut. 15"Laminated tailwheel: Laminated material is long lasting in rough conditions. 4" x 16" Solid rubber tailwheel: Can’t go flat. Heavy-duty spindle on tailwheel: Tailwheels take a beating, 1 1/4" spindle gives the strength to protect tailwheel assembly. Guarding: Protect against flying debris. Customer must choose to include chain or rubber on the front and rear. Rear Metal Band standard. Driveline Holder: Keeps driveline up out of dirt. Easier hook up of driveline. Deck Height (Bottom of Deck to Bottom of Skid Shoe):9"
Cutting Height:1 1/2" to 11 1/2"
Blade Bolts: Keyed with harden flat washers & lock nuts.